Soak chana dal for about 2-3 hours. Drain the water and blend it, adding 2-3 teaspoon of water if necessary. The batter should be coarse and thick, not watery. Add salt, onions, ginger paste, green chillies, curry leaves(slightly crushed) and mix it well. Take a pan and heat oil. Wet your hands. Take small mixture in your hands, make a ball and slightly flatten it. Deep fry till it is brown on both the sides. Keep it on the absorbent paper to remove excess oil. 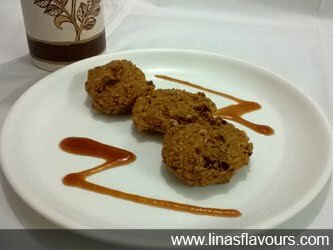 Serve it with green chutney or tomato ketchup.